Cook potatoes in microwave along with 3 tbsp of water and ½ tsp salt for 4 mins. (half cook). Drain the water. When it splutters, add ginger garlic paste and stir. Add potatoes and mix well. When potatoes start to brown, add chili powder, turmeric powder and more salt if required. Add dill leaves, mix well and keep covered for few minutes. Sprinkle amchur powder or lemon juice and take off fire. 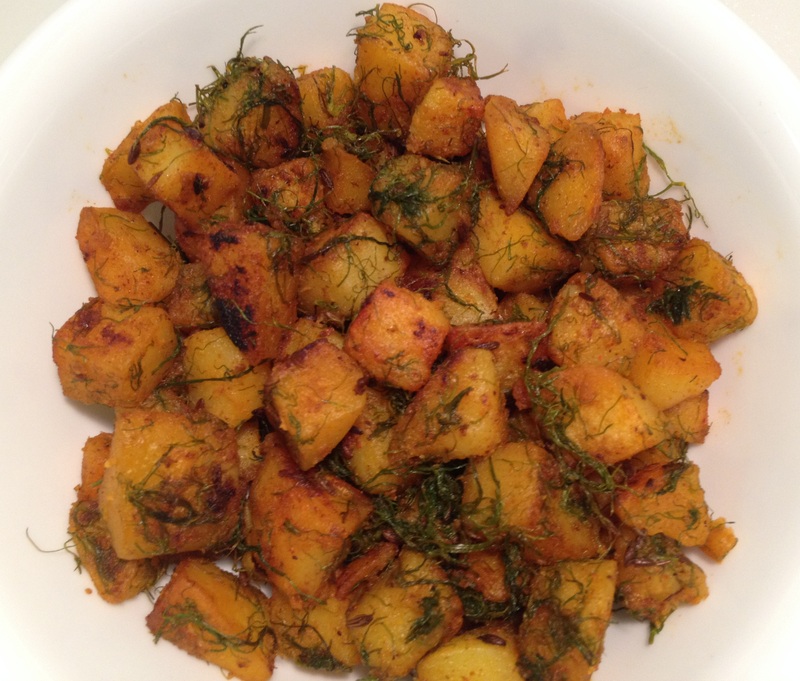 This entry was posted in Vegetarian Curry and tagged aloo suva bhaji, dill leaves, potato with dill leaves, suva bhaji by PriyaBaby. Bookmark the permalink. 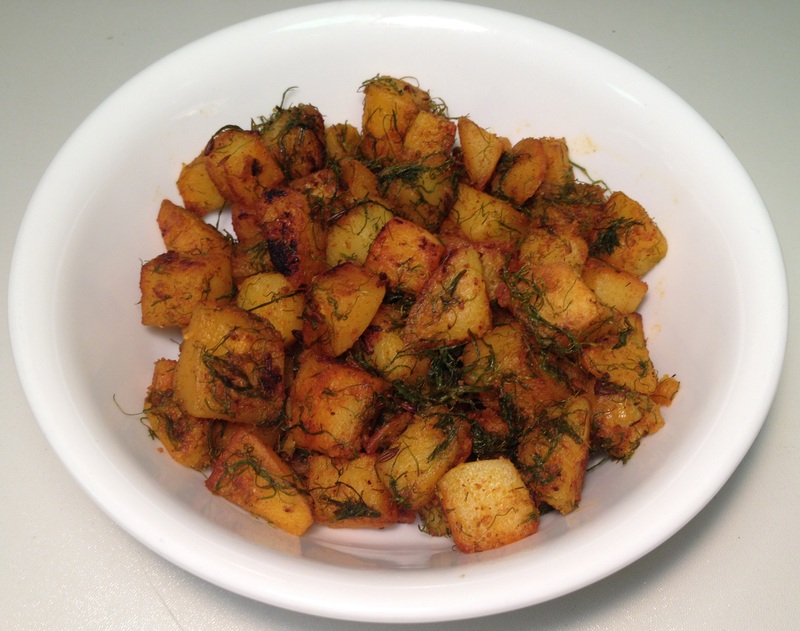 Potatoes with dill sounds like awesome combination. Thank for sharing!